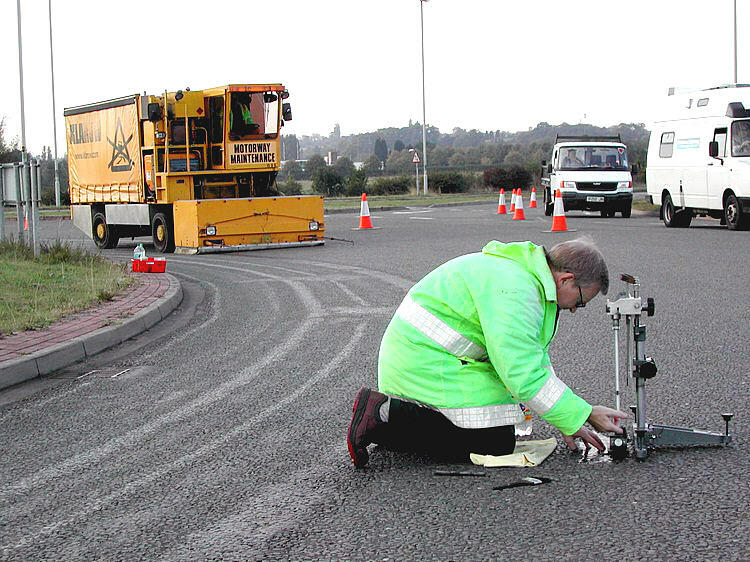 The Highways Maintenance Efficiency Programme (HMEP) has released a comprehensive guide to cutting highway maintenance costs, the toolkit has been created to help local authorities manage costs more efficiently. The guide is designed to give practical help and offer examples of achieving sustainable change. Figures from the Department for Transport (DfT) released in response to a question in the House of Commons show that since the start of 2011/12 councils across the North have received on average 15 per cent less funding for road maintenance per head of population than those in the South. We reported a few weeks back on the downside to the planned budget changes for local authorities, however, more details on the proposed national investment have been released. 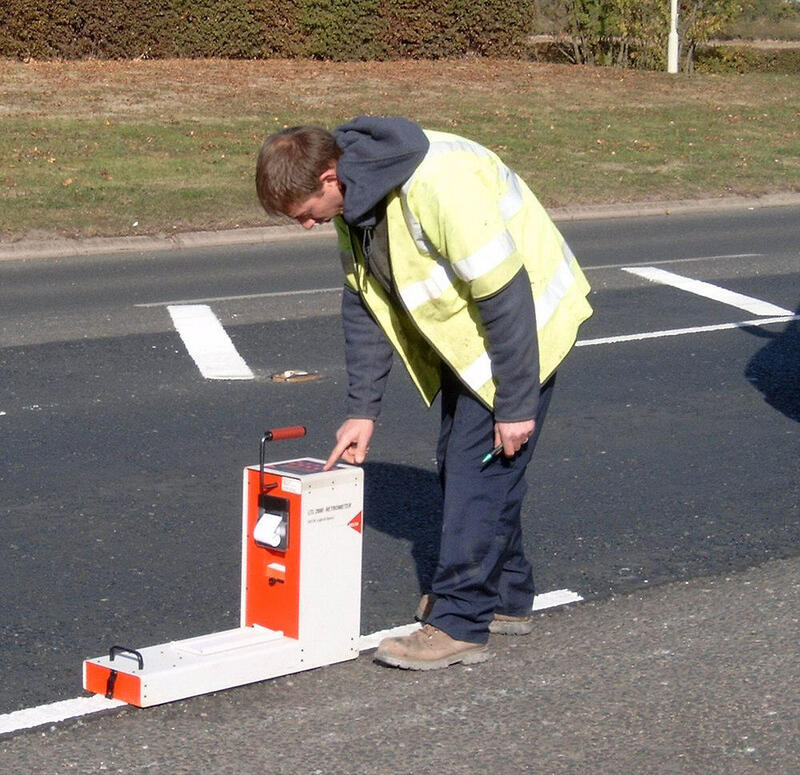 Our road marking services will be on show in the new SCS TV Advert to be aired soon. 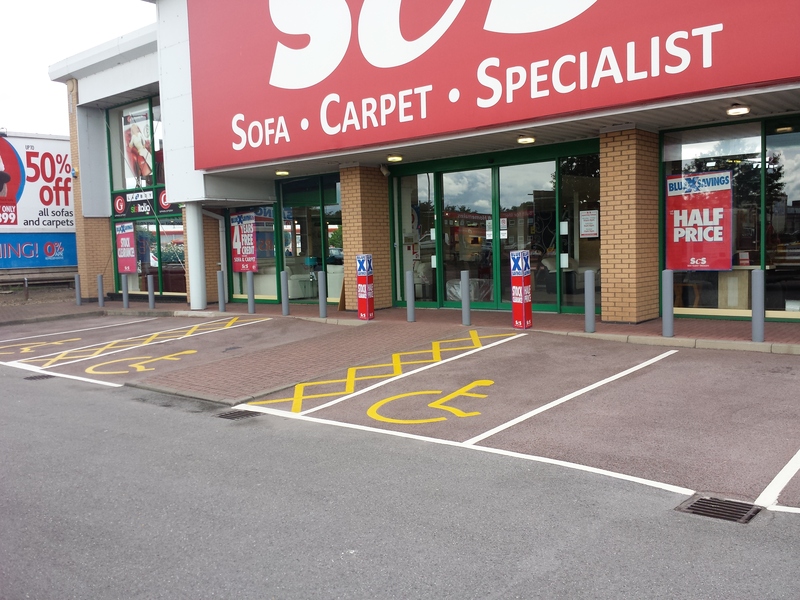 We were asked to update the car park markings at the front of the store, including the disabled bay and thatching. 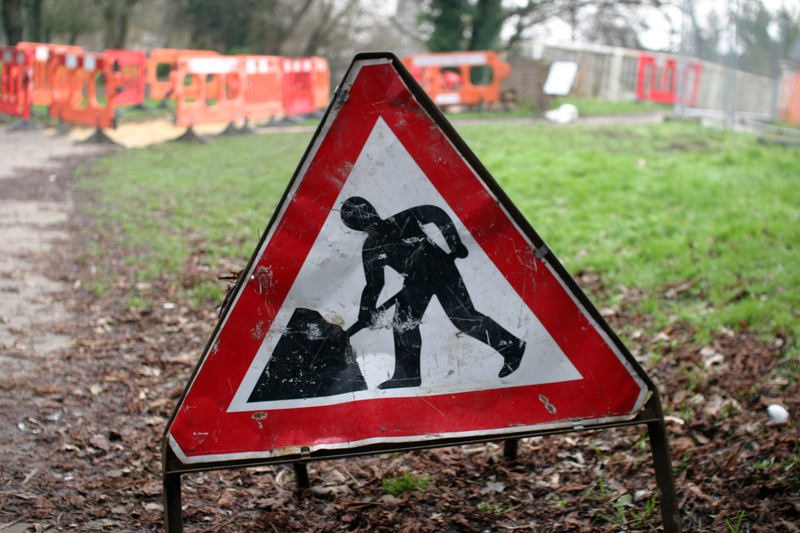 The Government has announced that the Highways Agency is to become a public owned corporation, with a dedicated budget of £4.7 billion per year. Chief secretary to the Treasury Danny Alexander said that the coalition was committed to spending £28bn on roads in the six years after April 2015. Last weeks budget was a mixture of highs and lows for the UK’s infrastructure projects, though national projects will see a review with the Government focusing on increasing investment in national infrastructure. 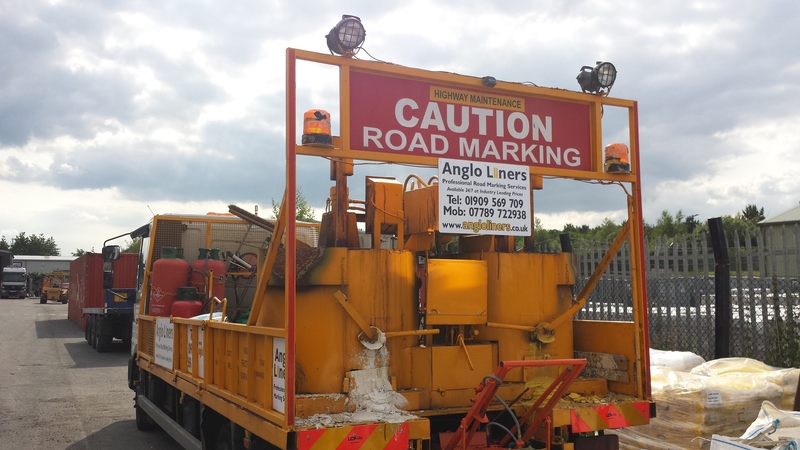 However, local authorities had a 10% spending cut, which will result in local road maintenance plans being shelved. From the 1st of July the implementation of the Construction Products Regulation (CPR), will require that all construction products to carry a CE Mark. Having had our website redesigned in April, we wanted to update our vehicle fleet to include the new logo and contact details. Yesterday our newest edition arrived at Anglo HQ. Check out the pics below.